Five steps to happy fish. 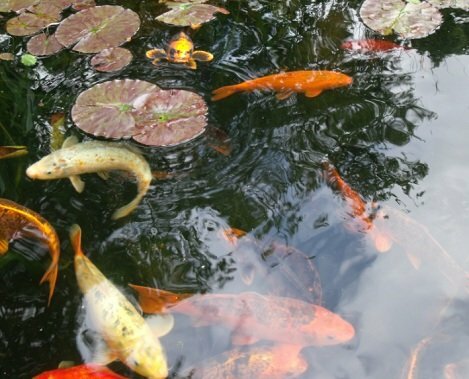 If you are considering adding fish to an outside pond but haven’t got a clue where to start. Follow this brief guide. It’s a two minute idiots guide to pond fish. There are lots of things you need to know about fish and these 5 nuggets of information will get you started. I’m a fish, what do I need? 1. Food, yes obviously but how much? Well lets look at it this way, a normal gold fish has a stomach not much bigger than it’s eye ball. 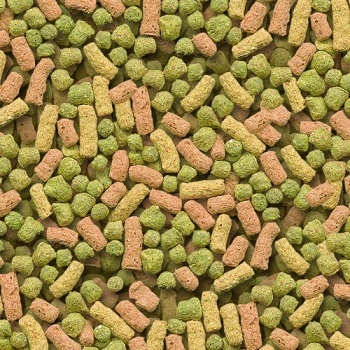 Over feeding fish can cause a number of problems so please try not to over do it. 2. Pump or air stone for oxygen. Water naturally carries oxygen but without movement it can not replenish itself. Failure to do this will limit the amount of pond fish you can keep. 3. Filter, this will insure your pond maintains a healthy environment. 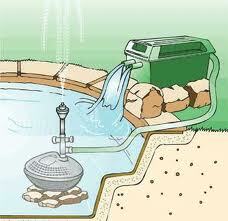 Fish pond filters perform a few tasks and need a pond pump to work but are well worth investing in. 4. Plants, happy fish need to feel safe in their environment so providing them with some sort of natural shelter will greatly improve their well being. 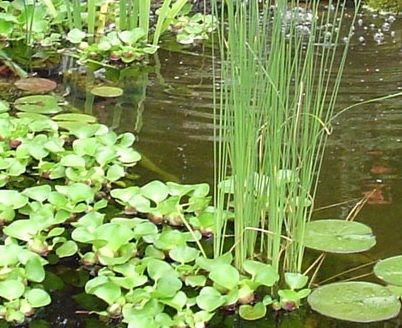 Like pond filters, pond plants are beneficial for fish ponds on many levels. Try my article on pond plants for some easy to grow ideas. 5. Room to move. Not all water features or ponds are designed for fish. They need to have a good depth, at least 50cm or 60cm. The whole pond doesn’t have to be this deep as long as there is an area that is. 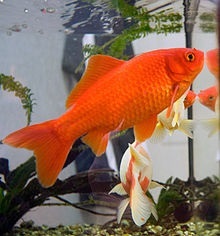 Surface area is the other important factor, I tend to allow for 1 gold fish every 30cm squared of surface water. This can vary so try adding them two at a time leaving at least two weeks in between. I hope this gives you a quick idea of what is involved in fish keeping. If you are interested in having your very own pond design why not get in touch. Water Scenes are water feature and pond specialists here in the UK. Call free on 0800 0232 988 or contact us. Off the peg water feature that’s off the hook!